The official autobiography of Patsy Ruth Miller who played Esmeralda in the silent Lon Chaney classic The Hunchback of Notre Dame. Double Book! 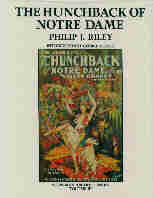 Includes the MagicImage book: The Hunchback of Notre Dame. A deluxe first-edition hardbound edition with dust jacket, over 400 pages and over 500 photographs. Includes an incredible 4-page foldout set photo. The definitive history of the 1925 Lon Chaney classic, written by Philip Riley. 20 years in the making! 320 pages and over 250 rare photos. Preface by Ray Bradbury; Forward by Mary Philbin, Introduction by Ron Chaney. Produced in cooperation with the Lon Chaney Family. A highly-acclaimed book. The Hunchback of Notre Dame - TWO BOOKS IN ONE! The full story of the making of the Lon Chaney silent classic, including a reconstruction of the lost footage from the original release and the complete shooting script. A deluxe hardbound edition with over 400 pages and over 500 photographs. Includes an incredible 4-page foldout set photo. Double Book! Includes "My Hollywood" When Both of us Were Young - The official autobiography of Patsy Ruth Miller. A Blind Bargain, filmed in 1922, is Lon Chaney's only true horror film. This book is the only complete record of this missing Chaney classic. Phil Riley provides film historians and movie fas with an innovative and faithful reconstruction of this infamous lost silent film. Hundreds of production stills, original title cards and the complete original shooting script. Hardbound edition with color dust jacket. 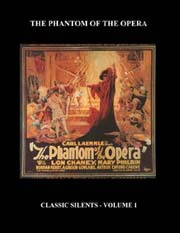 Includes the famous chapter on Lon Chaney's makeup kit, as well as the history of lost films and film restoration. Includes over 300 photographs, Introduction by Robert Bloch, Forward by Patsy Ruth Miller and a chapter on lost films by historian Jon Mirsalis.